Included certificate can be personalized to create your own award. 11 x 14 includes a single beveled mat (off-white). Fashionable two-tone document frame with gold bead accents gives your document the distinction it deserves. Easel back for desktop; hangs vertically or horizontally, plus the classic styling works with any decor. 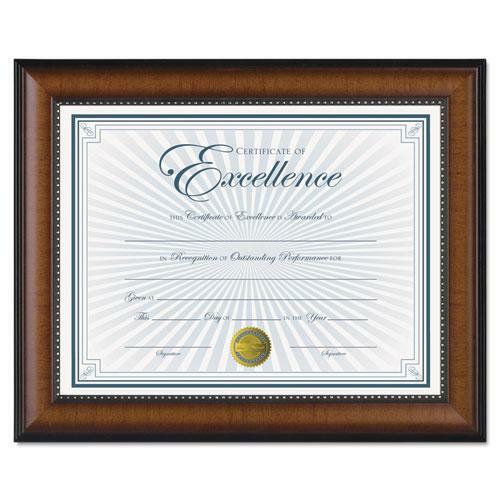 Included certificate can be personalized to create your own award.